Matter of Trust orchestrated a Biodiesel Collaborative. Oakland school buses proactively reduced their exhaust pipe emissions, thanks to Michael’s Transportation Services (MTS) leading the trend towards using a biodiesel blend. Less pollution means healthier kids. Biodiesel, which can be made from soybeans, sunflowers, algae, and recycled restaurant fryer fat has lower emissions than diesel exhaust. “The use of biodiesel, even at a 5% blend, eases the energy markets in the direction of sustainability,” said Carol Misseldine, Sustainability Consultant to the City of Oakland. One barrier to the widespread use of biodiesel is that it costs more than diesel. One way that barrier is being addressed is that restaurants are signing up to recycle their fryer grease for local school buses. Prices are also dependent upon buyer volume. The Biodiesel Collaborative participants include City staff, biodiesel suppliers, distributors, and fleet managers who want to reduce the environmental impact of their fleets. One intention of the Collaborative is to create the volume necessary to bring the price down. Future Collaborative participants, including the County of Marin and the City of Oakland, are considering moving in the direction of biodiesel use as well. 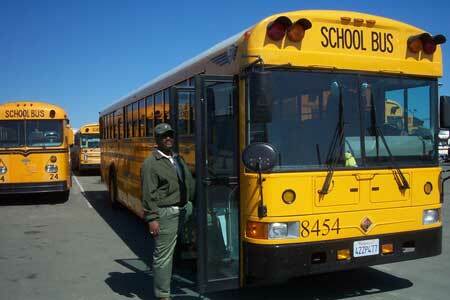 The City of Berkeley already had programs using 100% biodiesel for their city fleets. Golden Gate Petroleum, All-Points Petroleum and Imperial Western Products (IWP) are Collaborative participants providing the biodiesel to Michael’s Transportation for the Oakland School Buses. Note: This program was terminated when the Oakland School District filed for bankruptcy. Even though the District was unable to pay the final invoices for the biodiesel, MTS honored their agreement to the project and took a loss, providing cleaner fuel to the school kids for the remainder of the semester. It is a real pleasure to have worked with the team at MTS and we look forward to future projects when the school budgets are ready. Note: From 2007, Matter of Trust is the fiscal sponsor for San Francisco MUNI biodiesel hybrid city bus feasibility study, which is successful and SF MUNI purchases 60 hybrid 20% biodiesel buses. Note: July 2008, petroleum prices have skyrocketed. Biodiesel is now cheaper than regular diesel. Algae is clearly the most ecological source of biodiesel for the transition to diesel dominant trucking and developing countries. New alternative electric and compressed air cars are also hitting the developed countries’ markets. Note: October 2013, SF MUNI now has 131 biodiesel hybrid buses out of its fleet of 500 and is looking at new electric buses as well for purchases in the next 7 years.